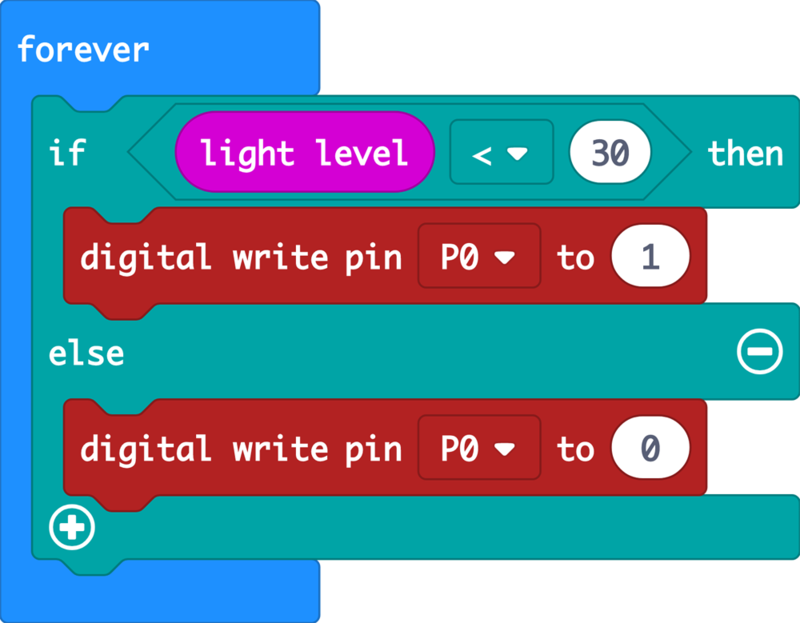 micro:bit one-touch switch is detachable in one operation easily. Terminals have polarities. Connect them as in the illustration on the one-toch switch. 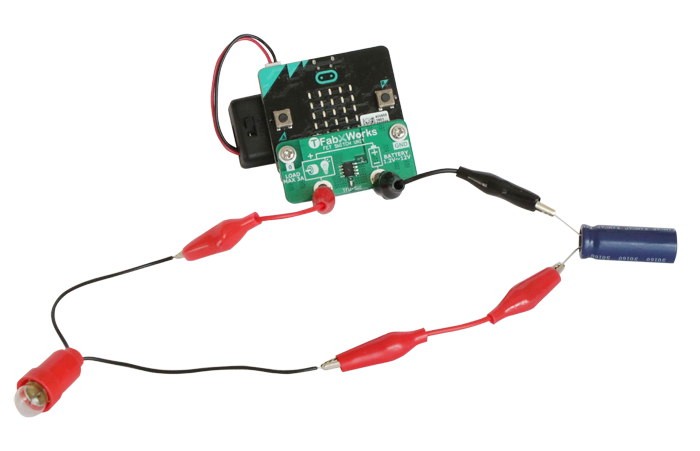 Since it is cableless, it dose not interfere with connecting micro:bit to a battery box. Even children can use one-touch switch because it is unnecessary to tighten screws every time. It equips our original bane-plug (PAT.P) . 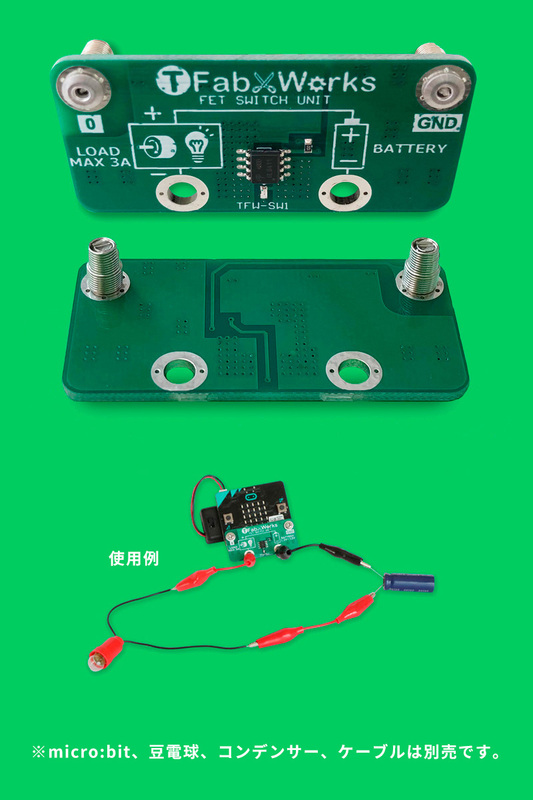 Speed control by PWM control is possible by using analog output. 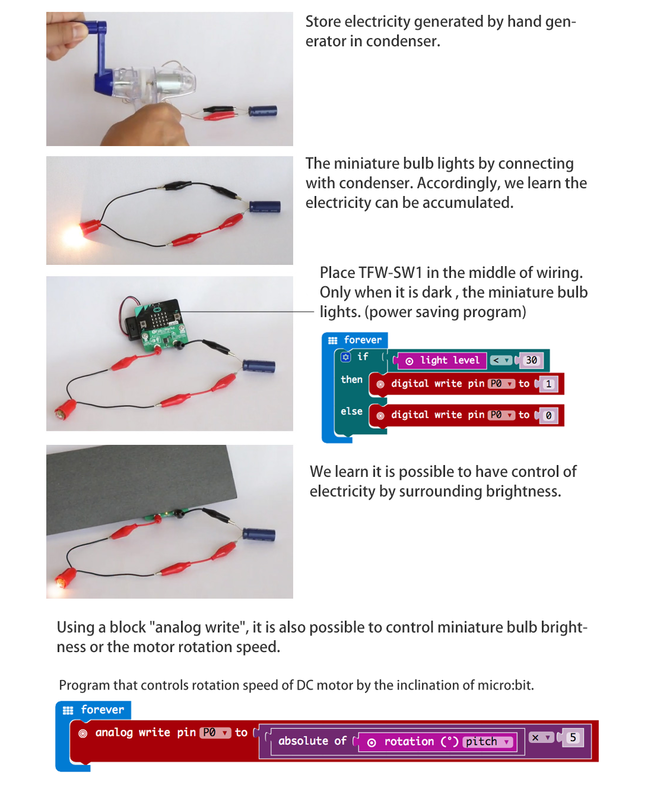 Program that the miniature bulb lights only when it is dark.